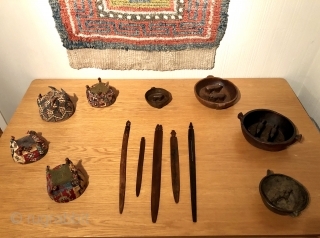 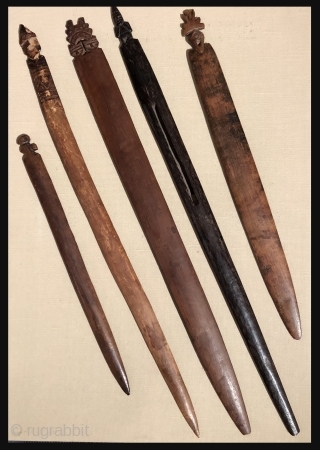 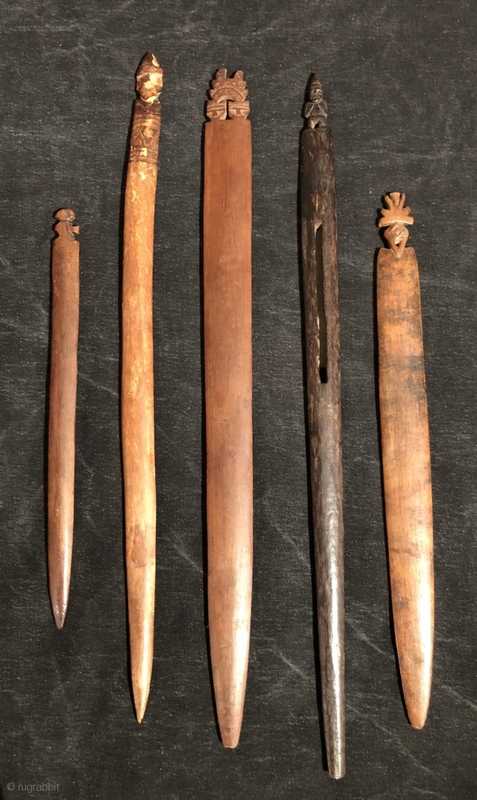 Pre-Columbian weaving tools. 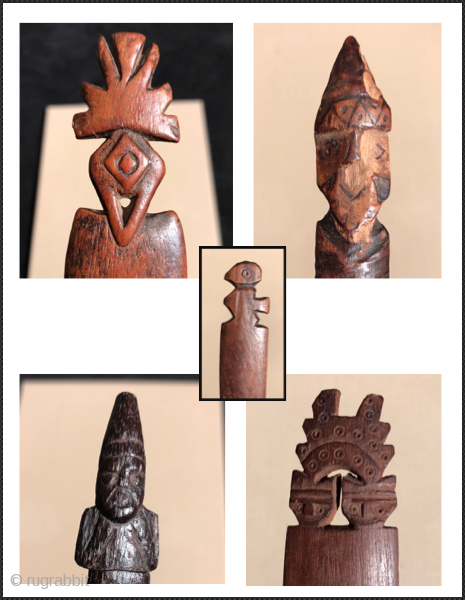 Chancay and Wari culture. 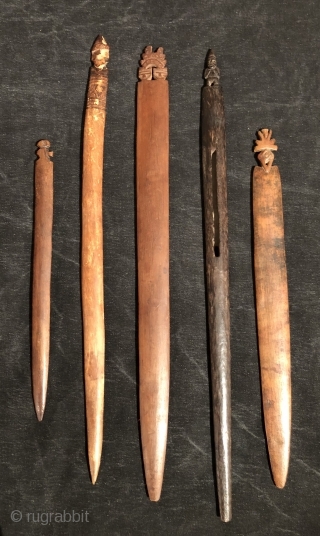 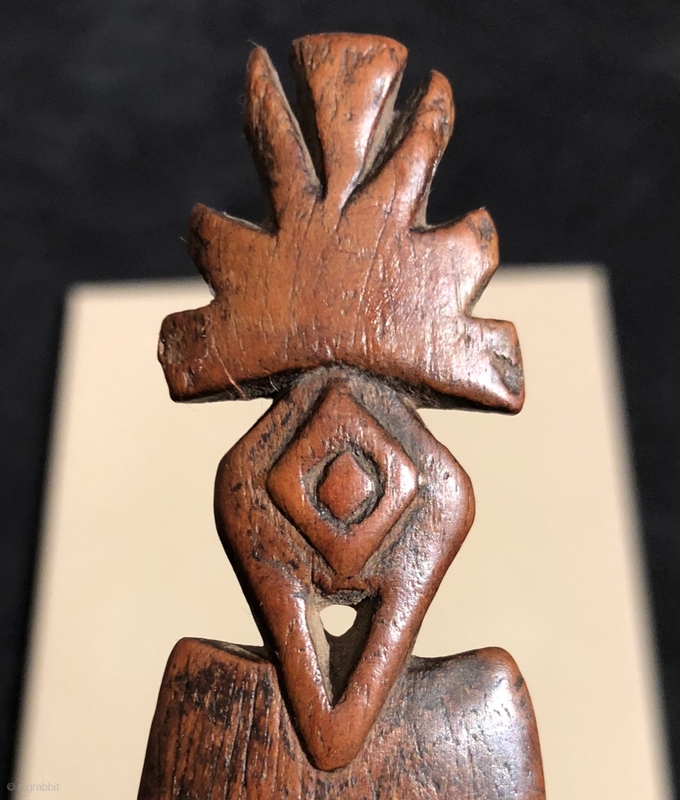 Weaving swords and bobbins with carved human and animal figures. 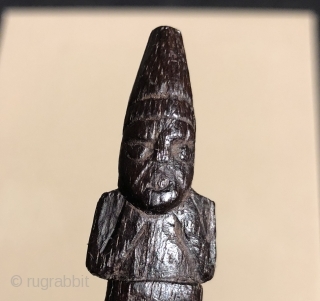 Longest implement is a highly unusual Wari bobbin with a standing figure that is 21 inches long and carved from a dark, very hard wood.